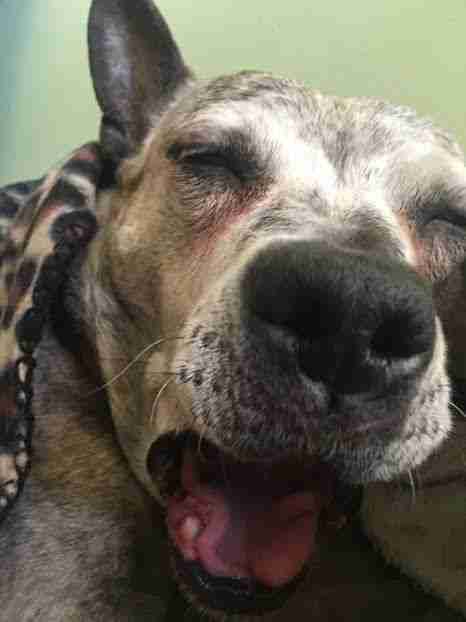 It was a brutally cold day in February 2017 when people first spotted a brindle-colored dog wandering the icy streets of Rochester, New York. 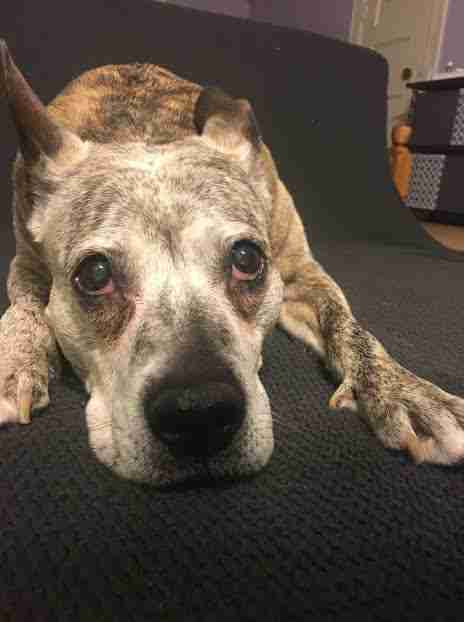 Her face was graying, and she had tumors all over her stomach and between her legs that made walking a painful struggle. She had no collar or name — so she ended up at the city shelter as a stray. She waited five whole days there for someone to claim her, but no one ever came. By the sixth day, she was put on the euthanasia list. 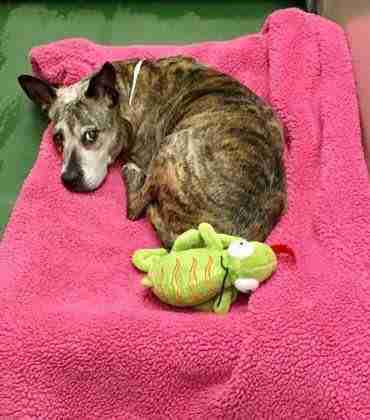 But members of Brindle Posse Rescue met her just in time, and knew they had to take her in. Corbit took 10-year-old Yolanda straight to the vet, who planned a surgery for the following week to remove the tumors. She was diagnosed with mammary cancer, which she had presumably developed from never being spayed. While much of Yolanda’s past remains a mystery, Corbit said it’s very likely she had been used for breeding for most of her life and was abandoned on the streets after her health had taken a turn for the worse. Although Yolanda was so sick in the beginning, the surgery was successful, and her health kept improving after. 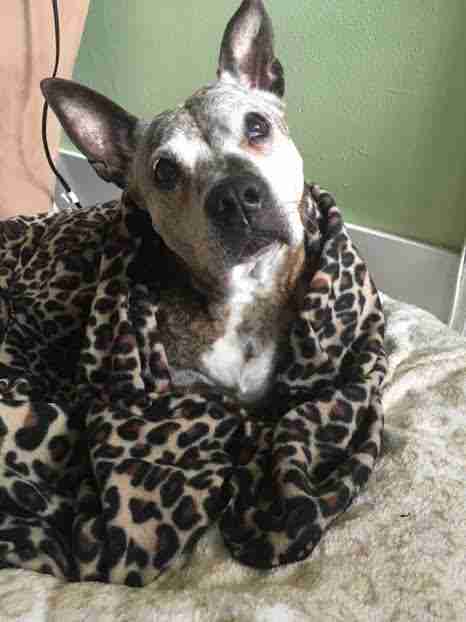 Corbit kept her active with short walks each day, and gave her some quality food and lots of love — and the light began coming back into her eyes. As Yolanda continued gaining strength and energy, Corbit realized just how spunky she really was. She was smart — and determined to show just how much life she had left to live. Despite her sassy demeanor, Yolanda truly has simple taste. 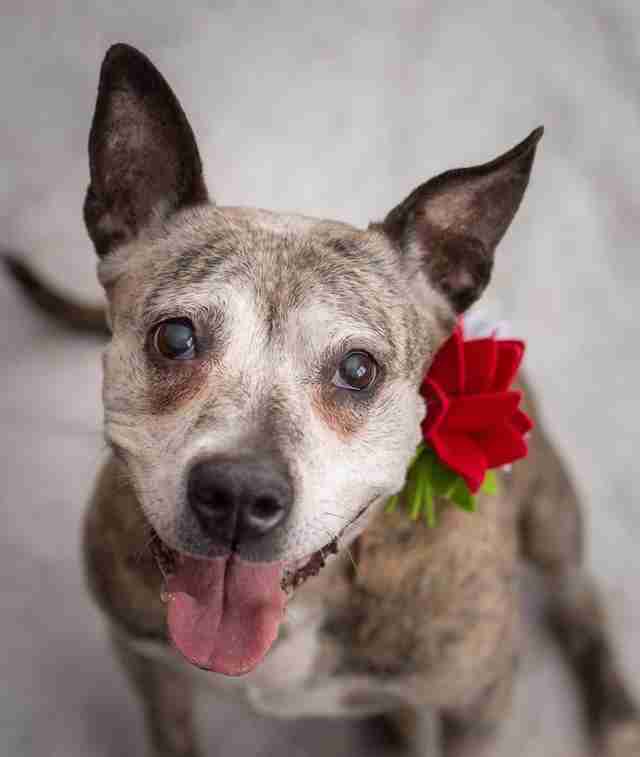 Now, as healthy as ever, she’s just looking for the perfect family to share her new life with. 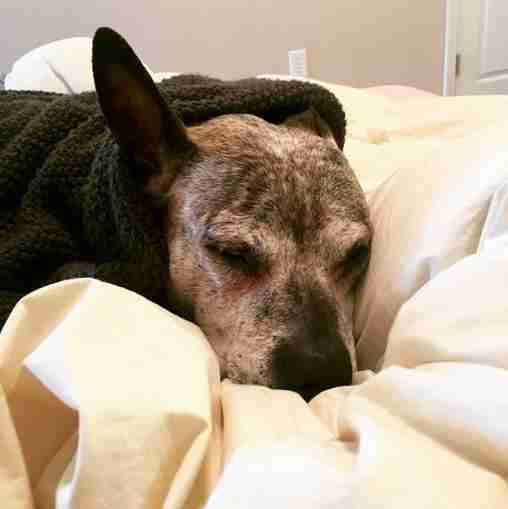 “She has a memory foam bed in her crate, but she doesn’t even like it,” Corbit said. “She loves the old $12 bed from Walmart out in the living room." In fact, when she’s not going on walks or playing, Yolanda can sleep a record-breaking 20 hours a day if she doesn’t have anything else on her schedule. “Yolanda is kind of a spitfire, but loves taking naps,” Corbit added. 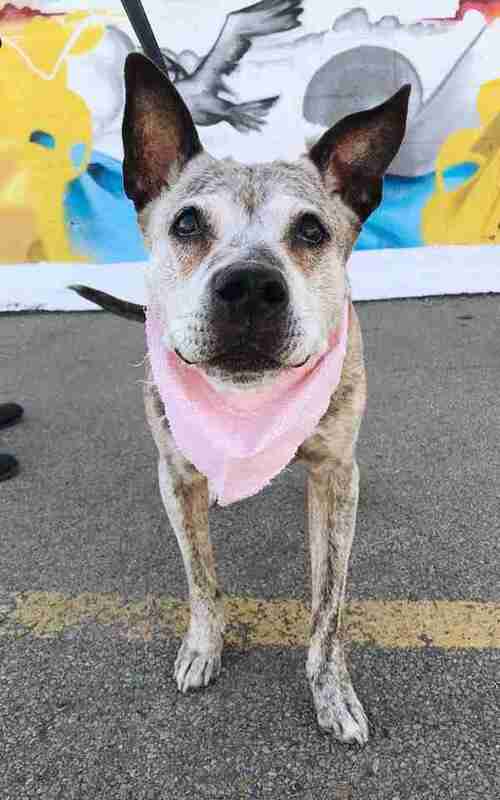 Although Yolanda has been available for adoption for almost a year now, she hasn’t had a single family move past filling out an application. 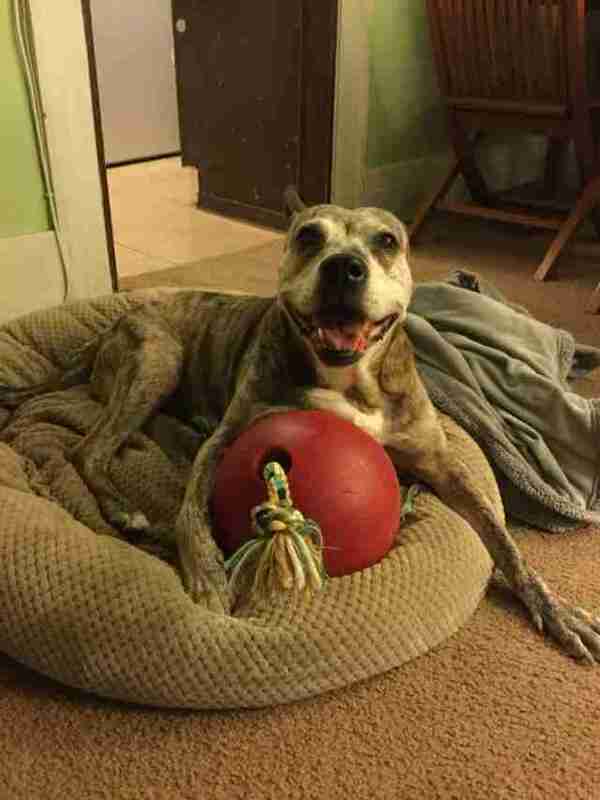 Until the right family comes along, Yolanda is continuing to take in the luxuries of life for the first time — and her foster mom is revelling in how far the once “hopeless” stray senior dog has come. If you’re interested in adopting Yolanda, you can email jenn.corbit@gmail.com for more information.